Nancy Zieman, sewing instructor and host of the public television series “Sewing with Nancy” for over 30 years, has passed away. When I began sewing six years ago, I stumbled across an episode of “Sewing with Nancy” on TV. She was sewing from “A” to “Z”, one basic sewing technique after another. Anchor Cloth, Basting, Cutting, Double Needles, all the way to Zippers. It was like the heavens opened. Nancy not only showed me basic skills I needed to learn, but also things I didn’t know I needed to learn. I bought the book and DVD and several more since. I still use techniques such as her method for inserting an invisible zipper, and her “absolute easiest” way to sew darts – which I just used for a class project. And then I read her amazing story. Nancy Zieman wasn’t just a successful entrepreneur, instructor, and television personality. She was all of those things against a backdrop of health issues, some very visible, her entire life. On Sunday afternoon, December 12, 1982, I was feeding Teddy when the phone rang. It was David Larson, the one producing Sewing With Nancy. “This arrangement isn’t working for me,” he said by way of announcing an end to our television production. He was pulling out. “Go ahead and do it yourself,” he said. We had recorded only eleven programs. Dave did it all, both production and editing. The production and editing crews worked under contract to him. The contract with the Satellite Program Network held his signature, not mine. Without him I felt there could be no Sewing With Nancy, and if it wasn’t profitable for Dave, how could it be for me. That was it. My television career was over. In the morning I began making phone calls to see if I could produce Sewing With Nancy on my own. Goodbye, Nancy. You are an inspiration and you will be missed. Quote source: Zieman, Nancy. 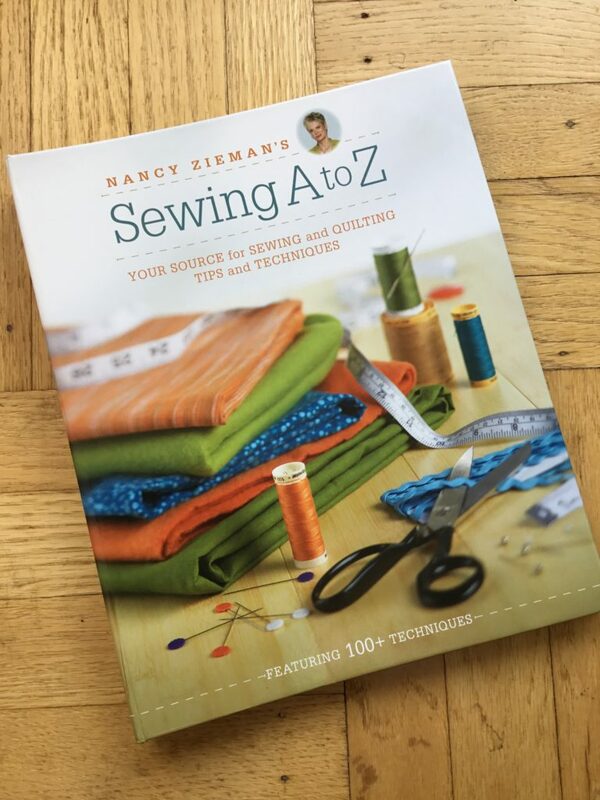 Seams Unlikely: The Inspiring True Life Story of Nancy Zieman. Glass Road Media. Kindle Edition. This entry was posted in Uncategorized on November 14, 2017 by mportuesisf.